Each facility has elevated water tanks and a well to provide fresh, clean water. A full kitchen, laundry facility, and bathrooms help maintain a safe and infection free environment for pregnant mothers. Each facility has a Pregnant Mothers shelter so they can live at the clinic just prior to giving birth which ensures their safety during delivery. The main campus includes storage buidlings, offices, in-patient wards, patient waiting areas, and a lecture hall for training. There is housing available for nurses, staff, and visiting doctors. The entire campus is self-sustaining and safe. A facility like this can serve over 1000 patients a month. A full septic system provides a safe and sanitary method to dispose of waste in an environmentally friendly way. Mouse over the markers for more information. 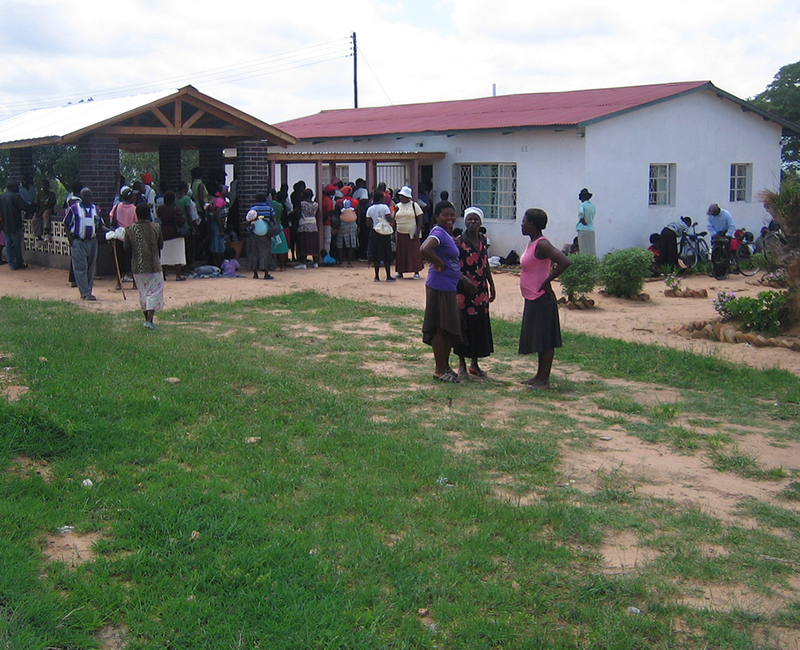 Chabadza-Healing Hands Across Zimbabwe is a mission group dedicated to supporting accessible healthcare for people in remote areas of Zimbabwe. In cooperation with the Christian community in Zimbabwe and the US, the Zimbabwe government and local tribal leaderships, we are working to repair, expand and/or revitalize 5 of Zimbabwe’s rural medical clinics. These clinics serve a total of approximately 32,000 people. As the much needed improvements are completed for these clinics, they will meet new rural medical clinic standards, serving people in desperate need of quality healthcare. Your support will help save lives! We are a 501 (c)3 and all donations are tax deductible. We are working to bring each of the five medical clinics up to the new 2014 government standards as depicted above. The average cost of necessary improvements to each clinic is estimated to be $250,000. As a result of our work, the quality medical care and health education provided at these clinics will be significantly improved. Contribute Via PayPal: You do not need a PayPal account to use this form. Just click on the button below and choose the Credit Card option or login to your PayPal account. Chabadza-Healing Hands Across Zimbabwe is a mission group dedicated to supporting accessible healthcare for people in remote areas of Zimbabwe. In cooperation with the Christian community in Zimbabwe and the US, the Zimbabwe government and tribal leaderships, we are working to support repair, expand and revitalize five of Zimbabwe's rural medical clinics. These clinics serve a total of approximately 32,000 people. Contributions are treated as 501(c)(3) donations.